Wider frame view of the mother I showed in 2017. D3 300 F2.8 . 1/320 F5 at Iso 400. Just found the range of details and colours remarkable due to the recent wet period. The detail and color is superb, Dave. So much to enjoy in large view! Excellent work. 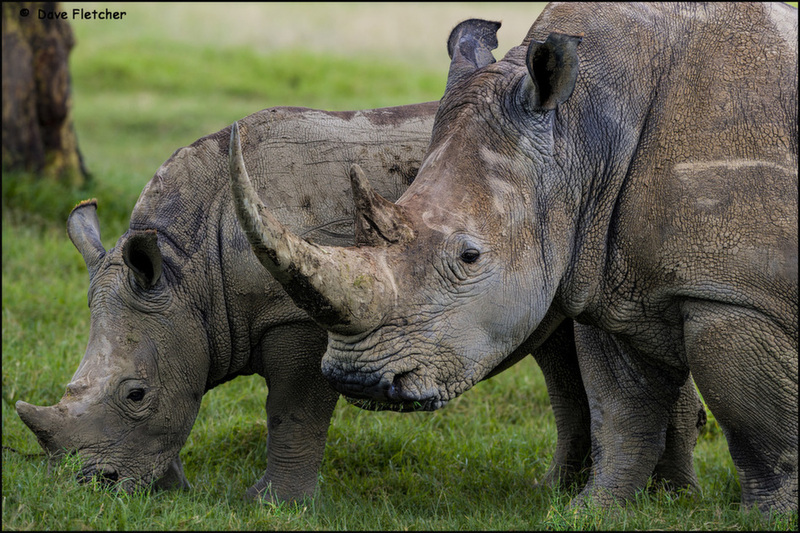 Great detail and textures in this view of these rhinos. Gorgeous greens really make a great contrast for this excellent view of mother and baby Rhino. Such ancient looking creatures.The textures are amazing in the large view. I must say, I am amused by their rather whimsical ears. Beautifully done, Dave. Great to get the adult and juvenile together David, excellent details and comp! Lovely details and composition David. The soft light really helps to see all the details, I like this intimate portrait!